What’s the role of marketing in today’s senior care organizations? What is the role of sales? How do you use technology to bridge the divide and improve census? 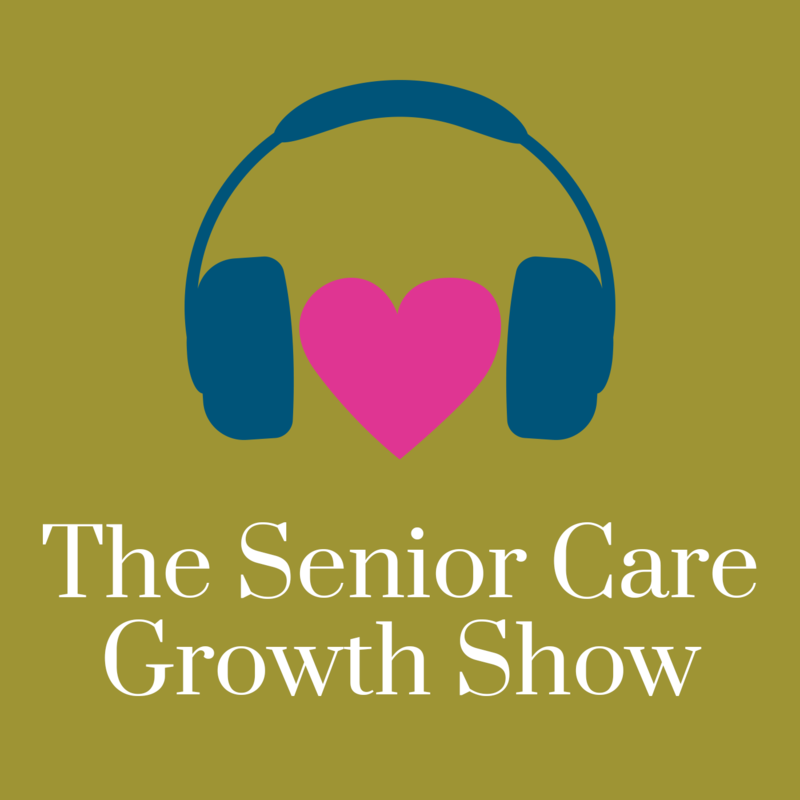 On this episode of the Senior Care Growth Show, Ryan Knisely, Corporate Sales Manager of Residential Living for Presbyterian Senior Living, tackles these and other questions. Listen now or read the full transcript below. Winston (host): Ryan, welcome to the Senior Care Growth Show. Ryan: I am very happy and excited to be here. Winston, thanks for having me. Winston: Yeah. Awesome. We’re excited to have you. Just by way of introduction, maybe you could tell folks a little bit about what you do and what you’re up to these days. Ryan: Absolutely. Well, you already gave them the title and I’m the corporate manager, residential living sales for a not-for-profit, a faith-based organization based out of York County, Pennsylvania called Presbyterian Senior Living and we’re one of the larger not for profit providers of senior care in the country today and we provide it on a variety of levels, mostly located in the mid-Atlantic. In fact, most of what we offer is right here in the keystone state of Pennsylvania. And my role with the company is to support sales primarily for the residential or as you may call it independent living for our 55 and over communities that are located in Pennsylvania, Delaware, and Maryland. So and that would be the complete CCRC or as some people now call it a life plan community where we offer all levels of living on each campus. We as an organization actually have 11 full-fledged continuing care retirement communities in our portfolio. Winston: So you’re working on sales initiatives for all 11 communities and really helping to drive sales forward? Ryan: Absolutely, Yep. Just trying to do what we can do to, like everybody else, join the club, is to get census to where we need it to be. Winston: Yup. That’s awesome. And, you know, when we were talking about this episode of the podcast, you mentioned some involvement on the marketing side as well. How do you think that as a lead into the sales side, how do you think the marketing for senior care has shifted in recent years? What have you seen on that side? Ryan: That’s a very good question, Winston, from my view vantage point and as far as my background, I’ve been with the organization a little over five years and I think that goes to the point I’m about to make is it’s just amazing since 2012 how many changes I’ve seen just in how senior marketing is being marketed or promoted and I will say that my involvement, I’ve been in this role. I was a campus sales director for three and a half years. So I’ve been in this role almost two years now from the corporate vantage point and since I got involved with it and even prior when I was still a sales director, I started to notice, at least when I was there, that as a sales director that we seem to have silos and the silos were that you have a marketing department or it can be what we call it, our communications department and you have a sales department and though, and I’ll steal a line from a famous leadership author, Stephen Covey, we want to be synergistic, we want to break down these walls and break down these silos. Sometimes that’s easier said than done, and if there are any two departments that should really be correlated with one another it’s, without doubt., if you want to achieve your census goals, has to be marketing and sales. So to answer your question, as far as change, the biggest, I would use one word and that’s digital. We’re seeing an immense focus with our company. In fact, we started a digital task force this year focused on all areas of the organization from human resources and recruitment to the sales side to say, what is our goal, what is our end goal, and then what type of capacity do we need to build and what resources do we need to achieve those goals? Winston: That’s great. So the main focus of that digital task force was to do what? Ryan: It was to establish. First off, it was to take a look at what we’ve been doing digitally speaking. So we may have an entire board that talks just from an hr standpoint about these sort of the digital avenues. We’re using SEO, search engine optimization, SEM, search engine marketing, social media avenues our webpage, uh, you know, who are we partnering with, what are we currently spending? And then so there’s your foundation and where do we need to be not only this year for not only this quarter, but where do we need to be day to day, and then where do we need to be is we plan for that larger future that’s ahead of us? The way Presbyterian Senior Living feels and our organization feels is this is where we need to be as far as the digital avenue to not only be successful but to thrive and survive. And so the focus has been put on that. And to end that is then – based on all of those needs, then what are the resources, financially and human capital? Who are the people that are going to be driving this into the future? So it’s, it’s really actually a, almost an organizational structure look to say, this is our communications and sales team now. What are we doing right now that’s working? What could we be doing better or what positions actually in the organization may we need to add to make sure that we continue to thrive? Winston: I love that. Yeah. And so the whole idea there about looking at your communication with the prospect to lead and then when they turn into a customer or that whole process that had to involve both marketing and sales, right? Ryan: One hundred percent. In fact, when I took over this role, I actually initiated a marketing a, we call it our monthly sales and marketing slash communications monthly meeting. And the whole purpose when I started those meetings, I had no agenda outside of we need to bring these two teams together and we need to talk about the issues that are facing us, sharing the ground level, what’s going on, you know, boots on the ground to what do we need to be going from a larger organizational poll. What’s been ironic have I started the meetings. I came up with probably the first year’s worth of agendas and now the communications team has really taken ownership of which I love and we certainly still collaborate. It’s all about collaboration and that’s a key word I think we’ll be talking about later. But, it’s, it’s paramount and it goes to, again, not only looking at where we’re at with marketing and did specifically digital marketing now, but where, where we, where we need to be. Winston: Yeah, I love that. Yeah. And so what are the things that you’ve learned from those meetings? What would you say are the most important parts of those meetings? If other organizations wanted to set something up, why would they do it and then how could they do it? Ryan: Well, first off, I think the number one word is communication. And let me add to that, transparent communication, being able to really put on the table what’s working, what isn’t working, and what are those key indicators? I will tell you that’s something that we’re still working on establishing and I think sometimes where the battle comes in between sales and marketing, is it sales is all about the now. We need it now. Get it to it. We don’t care how it happens. Just support us. From a marketing side, at least with our team. You expect me to say good things about my team, but my team from a communications side, I’ve really come to respect their vast knowledge of the digital marketing. Not just digital marketing, but marketing in general. And it took a while to be able to sit down and share my vision and then listen to their vision that talked about, that we like to use the term funnel. So the old funnel, if you picture a regular funnel is that you’re dumping in all of these advertising ideas. So whether it’s newspaper or television or radio, some of your old traditional mediums and then OK, maybe we’ll dabble a little bit in Google keywords or whatever it is. And then they would all go down into this funnel and then they would come out and they would come out as leads. Ryan: The idea now is almost putting the funnel upside down and saying, OK, now we have all of these different avenues now, but we still have the same budget and it’s really taking that look instead of even just 10 years ago to say, OK, we’re only going to do news every year. We’re going to do newspaper, we’re going to do some radio, and these websites will put a little bit into. But our clients, they’re older, they’re not online as much. And that is so, I think I’m preaching to the choir, but that has certainly changed. And, it’s saying OK, in a way it’s, it’s scary. But if you look at it from the, from a glass half full perspective, it’s very exciting to be able to say, all right, we still have the same budget number, but how do we decide where that money gets spent? And then how do we track that? And if anything, I personally have come to appreciate about my communications team, is we still as a sales team, give them, listen, this is what our client is telling us, this is where they’re hearing about us, but marketing is then taking that information in the tracking today with, with marketing is amazing. The analytics you can get. It’s unreal. Winston: Yeah, I love the idea of the marketing’s kind of looking longer term, bigger picture sales is all about the now – those are two different mindsets. And so how do you sort of bridge that gap and how do you make sure that the marketing team supports the sales team and that the sales team gives good feedback to the marketing team. And you know, mentioning the tracking on the marketing side and the tools that are available. How have you guys used maybe marketing tools or sales tools to sort of close that feedback loop? I’d be interested to hear your thoughts on that. So it was taking that mentality and then after many different meetings with the marketing communications team and seeing some things again from my glasses where I was a sales, I am a salesperson and I was a boots on the ground salesperson until very recently – to be able to communicate to the communications team. First off, this is, this is my team’s frustration. We still, I know why you’re asking the questions, but we need to relay to them why you’re asking those questions. Because I used to get frustrated when I took this role. I would ask, I would say, you know, we need video. We need video at X, Y, Z campus. Ryan, I get it. I understand. This is the communications person talking. “Ryan I get it. I understand why you’re asking for video. But, what is the end goal? Where’s that video going to be placed? How are we going to track the success of that video?” And admittedly the first couple of conversations that, I wish our communications director was on this call with me because he’d probably laugh, but I would get frustrated. I’m like, just do it. You find the place. You put it somewhere. So to end this point is then when I get excited in some of these monthly meetings that we have or even just other meetings that we have and we talk about certain things like the tracking. I think that was the second part of your question is when I get excited, I, I make the assumption that well if I’m getting excited, my sales team, if they knew this, they would get excited. And to give you, give you an example, just about a year ago, it was shared with these monthly meetings. We call it our Digital Snapshot. And what the Digital Snapshot would show, it would show all of the digital activity that would happen at a particular campus and we can look at it at a campus by campus or we can look at it by an organizational whole to see year-over-year how many visits did we get through a particular website and not only how many visits, but not to sound too techie here, but how many times did somebody bounce on one page to the next, how much time did they spend on a certain landing page? Things of that nature. And they would show that. Or they wouldn’t even show an event. Maybe we sent an email blast about an upcoming event and they could real quick show me an excel chart that would say this was, this was the delivery rate, the actual, you know, how many did not bounce back to us. This was the open rate. And then this was the click-through rate to say how many people actually click through. And then it brought up more questions like with something like an event to say, well, maybe our main goal when we sent it out was to get RSVPs to the event. But then when we did the research, maybe a third of them RSVP to the event, but the other two thirds, you know, throwing out the people will just be deleted or whatever. But the other two thirds that actually did some action, digitally with us, they went to the website and maybe they read a blog or maybe they just went to a different landing page and say, you know what? Ah, the barbecue sounds great, but I really just want to get to the nitty-gritty. What does Presbyterian Senior Living stand for? How long have they been around? What’s their financial rating? And we thought you know what, that opened our eyes up to say maybe we should start using email blasts for general branding as well, and not just event branding. So when I can take that type of information back to my team and they see that, then it’s like the light bulb goes off and they get excited by it. So the information I would say if anything from this talk is that the information that can be shared now with my sales team, what do they always say, knowledge is power. And my sales team now can really see what we call the digital journey of a prospect and even without talking to a prospect. And I guess in a way it’s a little scary with technology is that my sales team can tell, not only when they first requested information, but we can now see what page they went, to begin with, what blogs are they reading, even if we’ve never spoken to them. Maybe we’ve left them a couple of messages and they haven’t returned them. Or where we’re starting to think, oh, we’re going to lose this lead. But now we can see their digital journey by communicating with our communications and marketing team. And maybe we can come up with a way like a creative follow-up or we can come up with a way to say, wow, this person’s only reading about caregiver burnout. Well then maybe we need to get them information. Maybe we need to mail it, maybe we need to email, about giving them additional insights on caregiver burnout or taking care of a loved one when it gets to be too much. And then what are your options and how do you approach that discussion? Winston: Yeah, I love that. I love the idea of helping the sales team understand what the marketing team is doing that sort of sets the foundation for their follow-ups. And I think to your point, using that buyer’s journey or that digital lifecycle and seeing where people visited the website can be extremely powerful. I mean, and if you know that that prospect has visited a certain page on the website, you might change your sales approach when you talk to them next because you know, they’re interested in certain services. We had a conversation internally today about notifying folks when somebody visits, say, like a pricing page or a contact page or something that indicates that they’re ready to take the next step could actually notify the salesperson of that activity. And how powerful is that? How cool is that? Ryan: It’s so powerful when you make a great point. It’s very powerful and again, to be able and when you think of the amount of money that all of our communities, not just Presbyterian, but all of our fellow senior providers are spending in the millions and millions of dollars. You want to know that that money is well spent and not that we didn’t want to know that it was well spent 10 years ago, but now we can really track it. Especially the more and more we put into digital specific marketing. So the more we do that, the more a trackability we have as opposed to 15 years ago or even five years ago when we put an ad about a new building being built in the local gazette or the local newspaper and calls come in and, and you’re asking – well, how did you hear about the new building? And they may have seen it in the newspaper, but maybe they talk to a friend at church this morning and they say the friend at church and then you’re, then, you know, when you reevaluate your advertising budget six months later and they say, well, how did the ad work for the new building? I don’t know. We really didn’t get anything from the ad. Well that was a waste of you know $3-4,000. Where so much has changed that way. Winston: So yeah, now you can see which ad they clicked, what pages they went to. And I think the really cool thing about that is looking at those folks who did turn into customers and what actions did they take along the way? How do you learn from that? How do you repeat it? How do you make that better? So I just love that you’re using the data on the marketing side and on the sales side to kind of close that loop. That’s super powerful. Ryan: The last comment I would make on that is that I actually shared this with (I teach part-time at a local university) and I shared with the class the other night about how consumers for years, I mean with a television commercial, we now have DVR. You can skip the commercials, a lot of people don’t by the newspaper anymore. So the point is there are a lot of ways to, uh, skip ads, radio, XM, Sirius, commercial-free radio. All of it is to avoid the ads, avoid the ads. Well, obviously as marketers we had to adapt to make sure that we could still get our message out and when the consumer in a way, and we’re all consumers as well in a way. I see this and I get all excited and then I think, wow, how about when I’m the consumer and I’m checking things out. Like what is, what is the, what is that car company, what is the automotive dealership know about me before I come in? And with the power of digital marketing in the way it is now. I guess my point to that is consumers, I think, by going to the Internet over the last five to 10 years, we felt like we were bringing that power back to us, the consumer saying, you know what? When I’m ready, I’ll come to you. In the meantime, I’m going to avoid all the noise. And I’m going to do the research on my own. Well of course you can still do that, but while you’re doing that research, what you don’t realize is we as marketers are pulling in that information and I’m waiting for the day where you show up at the car dealership and you’re like, well, I read all the consumer reports I read the Kelley Blue Book. This is the car I want. And they say you know what Mr. Johnson, we knew you were coming in. We knew that the color you would want, and it’s actually right here. And I think he wanted to talk to John. Right? Winston: It’s getting that way. Ryan: It’s getting that way. But it’s exciting for our industry. Winston: Yeah, it is exciting. And I think that the key to all of that is knowing what we know about the way that people shop today. They’re doing their own research. They’re shopping on their time. I think that the really cool thing about technology too is that it can, it can help support that experience for the customer. It can help to distribute the information that they need and automate so much of that. So that it’s not on you, the salesperson to have to follow up manually with all these touch points. You can use those tools to deliver helpful content, helpful information, that lets that person make a decision on their own time. Ryan: Well, and I think that’s a great point and I’ll use the car example again, is that if I’m going, that information is power to that salesperson. So actually I’ll use the senior living example. So if I have a brand new prospect walk through the door who I don’t know from Adam, and we begin that conversation and we start to ask questions to gather information to figure out, OK, what’s really important to this particular prospect, with the power of technology, it’s, instead of what I say, giving the cookie cutter tour, which, you know, here’s the pool, here’s the dining room, here’s our exercise facilities. This is our executive director. It’s being able to use that information hopefully ahead of time. Like you said, maybe they’re going to all these different types of landing pages. Maybe I’ll give an example. A couple of our communities have model railroads and until I worked in this industry, I never knew how big the model railroading was. And you may find that somebody, was, the only landing pages they were going to were your communities that had model railroads and those are the particular pages they went to and they actually requested information about the model railroad pamphlet. Now I know when they come in, if I can see that, what resident or residents am I going to pair them up with? It’s probably somebody who founded the model railroad or somebody who’s active with it. It just does give you that type of power. And I think to the consumer that I think what you’re saying, the benefit and I fully agree with to the consumer is that we’re not going to waste their time either. They’re going to come in, we know what their likes and dislikes are. And using the car example is – you might love a sunroof but I might not care if I have a sunroof or not. It’s about what we get excited about and we want to mirror the excitement of our prospect, not just say, well, I know our campus is great and this is why it’s great. It’s no, it’s what’s important to you. Winston: Yeah, I love that. It’s a better experience for the prospect. You’re talking to stuff that matters to them. And I think if you do that the right way and not really tipping your hat that I’ve seen that you’ve visited five pages on our website, but just say, hey, did you know that we have a model railroad club and let me show you where that’s all set up and here’s somebody who’s very involved and, oh, I just happened to be interested in that. And that’s just, I love that example because you’re taking the intelligence you’re learning through using the really smart automation tools on the marketing side, empowering your sales teams to deliver a more personalized message. And you know, I can only imagine the impact that’s had on sales for your communities. But maybe you could share just some of the sort of tangible benefits that you’ve seen from some of this marketing and sales alignment work. How has it really changed the way that you operate? Ryan: That’s a good question. I think we’re still in the beginning stages of seeing how a lot of that has changed but we have already had multiple success stories. One was a particular couple that was looking at our community in Bethlehem, Pennsylvania and the Lehigh Valley and what we had realized prior to them coming in, almost all of their website views. They were on our web for about two months before they ever even filled out a contact us page and everything was focused around our new building that we had just opened up a 36-unit, a terrace home building. And so we kind of knew ahead of time by looking at it that this is what they were going to be interested in. So when they came in, the sales team was equipped to know this is what they’re, what they’re specifically looking for. So they were able to get a couple of the newer residents excited that we’re going to have somebody before they came in. It wasn’t shared over the phone that all we just want to look at this new location. But our sales team knew it and they were able to visit plan, as we like to call it, plan ahead a visit so that when they were there, there was no wasted time. And they could meet their new neighbors on that side of the campus, see the new units and really see what they like. So, and I will say, I think I’m very proud to say that thanks to a lot of our digital efforts and the growth specifically of our blogs, we were really growing our blog pages and the content that people are reading. In fact, what we realized, one of our most read blogs is on the not-for-profit/for-profit difference. What does it mean and why is it important for people to be asking the question, are you a not-for-profit versus a for-profit? But again, it goes back to OK, the article’s great, that’s great information, but what does that really mean to the consumer? And then it’s translating that to the consumer and telling them why that’s important, but it’s one of our most well-read blogs and we are now using that, especially when we see growing competition in particular geographic areas of our organization where all of a sudden more and more for-profits are popping up and you know, they may have, you know, five restaurants in three pools and may even be cheaper than us as far as the buy-in. So then how do you compete with that? Well, we then we talk about that not-for-profit difference and we know that it’s a popular thing because of how many times and it’s the most downloaded article on our blog site and it’s really helped us. Winston: I love that article that you wrote that you know is resonating with your audience and the sales team can then send that to beat out competition and to position yourselves in the right way. I think that’s terrific. Ryan: Absolutely. It’s helped us. Yeah, I’m a big proponent of digital marketing and the only thing I would say with senior marketing specifically is as an industry I still think we’re a little behind. But I definitely think that the industry is picking up steam. More and more organizations within senior living are foreseeing that and seeing the value in it. And knowing that, you know, when you think of a 55 and older, if you use that number 55 and older, that direct mailer that you’re sending out if it’s going to 55 and older, might not be hitting the actual prospect. But it may be getting to that baby boomer who has a mom or dad or an aunt or an uncle or a friend who is looking for senior living and they are very digitally proficient, that age category, and you’re finding more and more, even with the, as years go by, obviously with the older Americans, that there are many 85-year-olds that are very digitally proficient and that’s how they prefer to work. So I think like anything in life, time is definitely of the essence, especially in our industry and you want to be as efficient as possible. And I think digital marketing, if handled right, and it will take a lot of effort, but it will be worth it, can really help take your organization to the next level, especially from a census` standpoint. Winston: That’s great. And so on that note – Focus on digital marketing, content that your audience is interested in, create good content, from a sales and marketing alignment standpoint. You mentioned creating a digital task force and the benefit of that. And just kind of looking at your communications, the importance of the digital snapshot and reporting and looking at the data, what other takeaways would you give for folks who are listening to this podcast and think, man, this stuff sounds awesome. Where do I get started? Ryan: Exactly, and I say just get started by, like anything else, taking that first step and I would say it starts with a conversation between the leaders of your organization’s sales function and the leaders of that marketing function and getting them at the table together to break bread and then be able to talk to one another and say, this is what we’re seeing. This is what we’re seeing. How can we align ourselves to do at the end of the day, what ultimately we all want is not only of course from a business side a census success and growth, and but let’s face it – what is the cause and effect in that? What is the digital success of marketing? What’s the goal of marketing? The goal of marketing is to promote your product. What is the goal of sales? It’s to sell that promoted product and then by doing all of that, what does that do? Well, that goes back to reinforcing that sales promise or that marketing promise that your organization has made, number one, to taking care of that resident and their family to give that family peace of mind to know that because now we have the financial capabilities to be able to keep, specifically like with our organization, that not-for-profit promise that we will take care of your loved one for the rest of their lives. And it’s hard to put a price tag on that and we want to be able to continue to do that. And to be able to do that, I would say you also just have to accept the fact that digital marketing and social media is not only the future, but it’s the now. If your organization is going to continue to not only be successful but to stay active right now it’s a must. So you accept in the reality but you approach it like you approach anything else and you get to the table and you have those two departments talk to one another and that’s where you start. Winston: Yeah, that’s great. Man, that’s awesome. So much to think about. I mean I thought we were just going to talk sales and marketing alignment. We got on so many good topics though. The power using marketing data and how we can help with closing folks. Man, there’s so much to think about. But I love your point of “come to the realization this is how the world works today. Let’s get the right folks around the table and start talking about sales and marketing alignment. Let’s get a task force together. Schedule those recurring meetings. Start looking at the data. Start talking about both sides of the equation.” All awesome takeaways. And Ryan, I just can’t think you enough for being on the podcast today and taking the time out of your busy schedule. Really appreciate it. Ryan: I am more than happy to do it anytime, Winston. The only other thing I would add to that from this is: share the information and makes sure that information, especially if you’re a multi-site organization as we are, that information has to get back to the executive directors of those campuses and to the sales teams of those campuses so they can see what the head office and specifically what the marketing team is doing to support them and that they really care to support them. Because once the sales team knows that the marketing team cares, the walls come tumbling down, the silos come tumbling down and we’re all again on this synergistic path to success. Winston: I love it. Great advice. Awesome. Winston: Thanks a lot, Ryan. Take care. Appreciate it. Ryan: You too. Have a wonderful day.